You can’t have a discussion on making the Perfect White Rice without also talking about How to Make Con-Con. Con-con is the younger rebellious sister to white rice because it’s crunchy, exciting, and not everyone’s cup of tea! It’s the golden goodness at the bottom of the pot that families fight for while others shun. There’s definitely two camps of people- pro con-con fans and anti-con con. Now whether you’re a Con-Con enthusiast like myself, one thing is definitely certain– Con-con is LIFE especially if you had some sort of sauce to drizzle over it. My favorite sauce to have with is the salsa from Pollo Guisado or Bistec Encebollado. Oh. My. Goodness. You have no idea just how amazing that is. The crunchiness with the sauce with avocado on the side is purely magical. Traditionally, I always eat twice. I always have seconds. It’s a bad habit that I learned from my mom. I’ll usually only serve myself half of what I know I’m going to eat because I just have to have seconds! And whenever I do go for seconds, I’ll go for con-con. By the time everyone has eaten and served themselves their first round of rice, the con-con is exposed and ripe for the taking! Con-con strategy is real! Now the key to making con-con actually pretty simple. 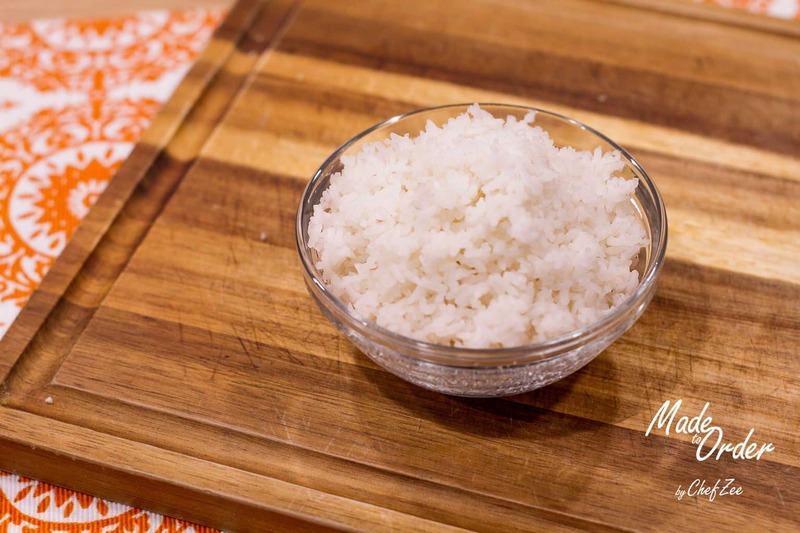 All you have to do is make White Rice as you normally would, better yet if you make it my foolproof way. Then you let the rice steam for an extra 10-15mins. Those extra steaming minutes is going to create a beautiful golden crust at the bottom which is going to give you Con-con. Now whenever you eat con-con, you have to make sure that the fluffy rice on top is gone. However, you want to get to the con-con while the rice and the rice pot is still hot. This will make it light years easier to scrape off. In fact, it will come off in one piece or big chunks. Now cooking your rice in a caldero, aluminium, or stainless steel pot is going to give you the best con-con. Not only will the con-con cook faster, but it will be golden and much more crunchier. The catch is that you have to scrape the con-con while the pot is hot. This is vital! Otherwise, you’ll end up giving yourself an arm workout. I’ve done this plenty of time because whether or not I get to the con-con while it’s warm– I’m still having my con-con! Keep in mind that different people and cultures make rice differently. Con-con also goes by different names. Dominicans typically call this crunchy rice Con-con while Puerto Ricans call this delicious treat pegao. What do you call this dish and are you fan? If you’d like to learn more about Con-Con and how to make it visit my YouTube Channel: Made to Order and watch: What is Con-Con?